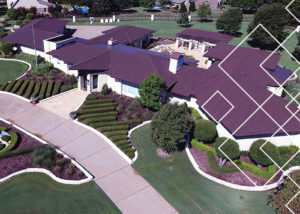 Providing quality roofing services in the Mckinney area, Superoof is second to none. We offer a complete range of roofing services and have helped thousands of North Texas homeowners and businesses solve roofing issues since 1992. The professionals at Superoof understand that no two homes or roofing needs are alike. Superoof will create customized recommendations to your specific needs. We pride ourselves in making your roof look its very best, while protecting your siding and landscaping investments. We use only top quality materials and qualified installers and are fully insured for your protection. We are committed to taking care of YOU throughout the whole process of re-roofing your home or business property, even if you just need roof repairs. Because your Mckinney roof is responsible for protecting you and your family and/or your business on a daily basis, we want to make sure it does its job extremely well. Superoof is an Owens Corning Preferred Contractor, a stone coated steel Master Roofer for Gerard Roof Systems, and an IB Roof System factory trained technician. Superoof’s volume-buying power and efficiency give us a competitive advantage in pricing without sacrificing quality. We specialize in roofing design and quality that is structurally sound and architecturally compatible with your home. You can feel secure knowing that Classic Superoof is fully insured on every job that they perform. We help you understand what needs to be done, and WHY, and we stay in constant contact with you as your Mckinney roofing project progresses. With this in mind, we feel that we can give you and your project the care and personal attention and quality workmanship that you deserve. Our expert staff will be happy to provide a free introductory survey of your premises with valuable recommendations. Give us a call today! Please fill out the form below and one of our representatives will contact you as soon as possible. 24 hour answering service provided.